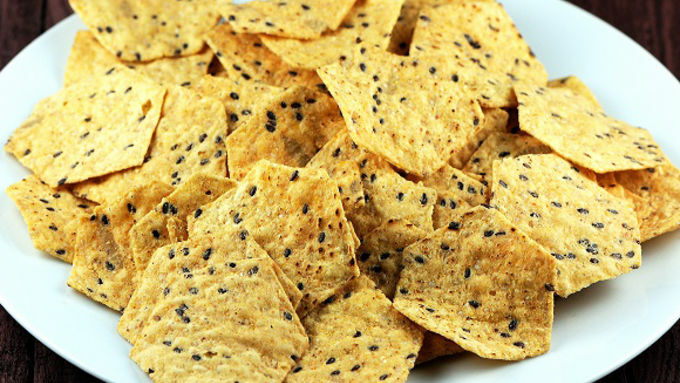 Scatter the entire bag of chips onto a large plate. 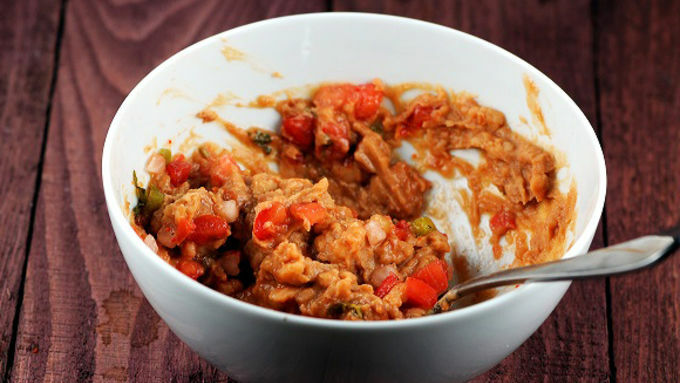 Place beans in microwave for 30 seconds to make them easier to mix. Add in Pico de Gallo and mix together. Drop spoonfuls of the bean and Pico de Gallo mixture onto the chips. 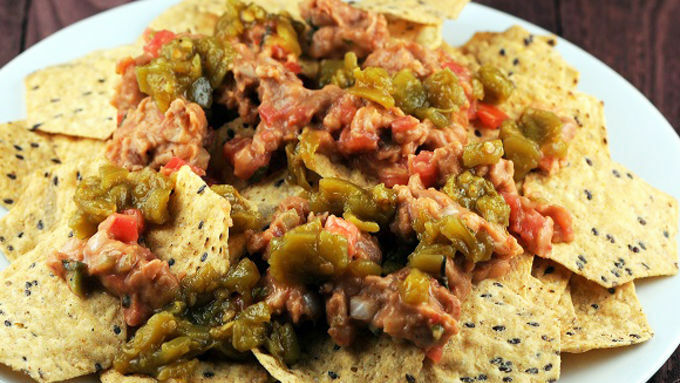 Sprinkle green chilies on top of the bean mixture and chips. Evenly distribute the shredded cheese over the top. Place in microwave and cook for 1 to 1 1/2 minutes depending on the strength of your microwave. Remove from microwave and top with sour cream, additional Pico de Gallo, and guacamole if desired. 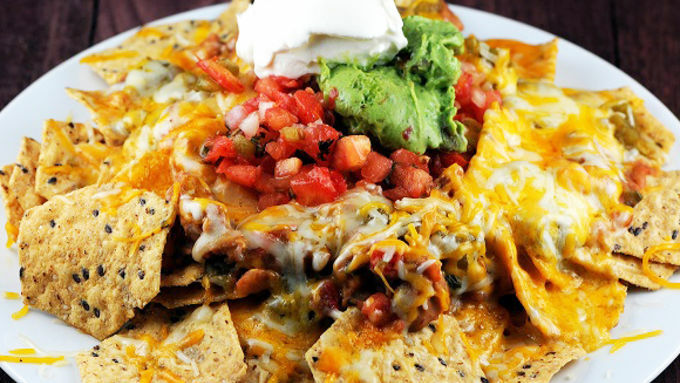 Nachos as a midnight snack -- mmm -- nothin' better. 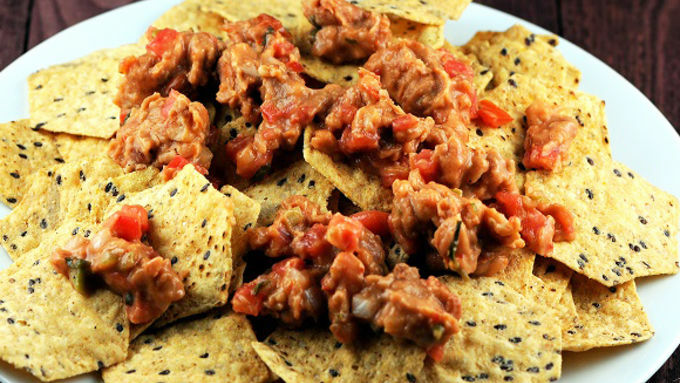 And here's how to make those nachos super quick in the microwave so you can get to munching. Growing up in our household they were simply called chips and cheese. 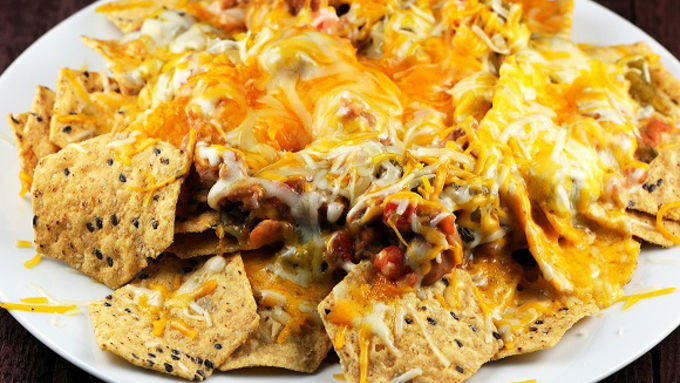 My mom would throw a big plate full of chips covered with shredded cheese, pop them into the microwave and it was a quick and easy snack for us kids. So imagine my delight to learn when I got older that more could go on chips and cheese than just cheese. And they aren’t even really called chips and cheese -- my mom was actually making Microwave Nachos! Now when I make them, I add other stuff -- like ground beef or chicken -- but mostly I just love beans. I mix either salsa or Pico de Gallo into the beans to give them a little kick. Since I’m a wimp for heat I stay with topping them with green chilies, but feel free to throw in jalapeños if you can handle that. 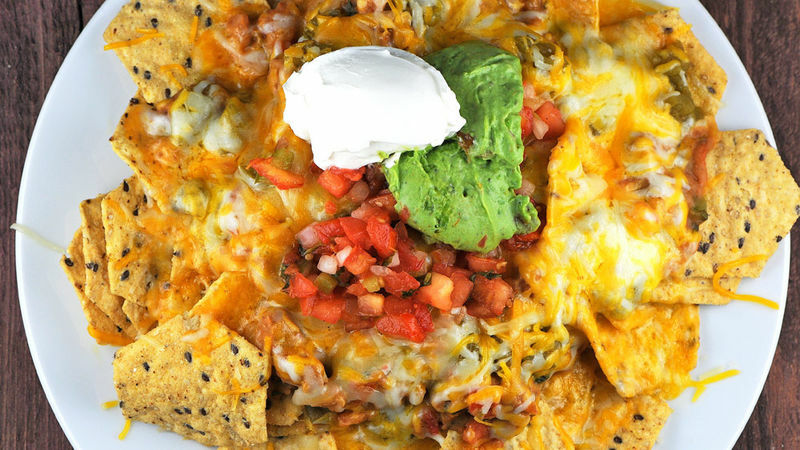 Top with some sour cream and guacamole and you are golden. Remove from microwave and top with sour cream, additional Pico de Gallo, and guacamole if desired. Good to go!